Pass super intéressant que nous avons beaucoup apprécié. Un excellent moyen de découvrir Vienne que nous recommandons. Amazing. Well used. Excellent way off seeing the sights. Staff very helpful. Well worth the money. Get this if visiting Vienna! It’s makes getting around to the attractions much easier and it will save you a ton of money with all the attractions that are included. Excellent value. 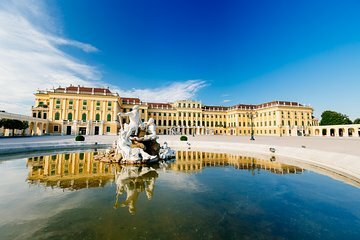 I would recommend buying the Vienna Pass to anyone. Our 2 day visit was made relaxing with so many sights included in the pass. An excellent way to get your bearings in a new city ! The ticket pick up process is not really flexible. We were already running short of time for 48 hours...when we arrived the palace stop the next morning, the tour guider insisted that we would need to go back to the subway station to exchange the ticket even though we had the print out and all documents. We lost the full morning sun. There should be an easy ticket pick up at the spot every bus stop. Also there were no ferries Wheel or Danube tower due to renovation. The price is well worth the costs of the places you could get into. The only problem is time to do all the things. Please note that you have to print the voucher but if you didn’t, the tellers in the pick-up counter are very helpful so you could email them the vouchers for them to check. Absolutely the best way to enjoy Vienna!